Within the four doors of the 2019 Volkswagen Golf GTI, you have a range of features and options to choose from, including color, trim, and technology. You can count on this Volkswagen hatchback to get you from place to place for years to come, no matter how many miles you put on it. 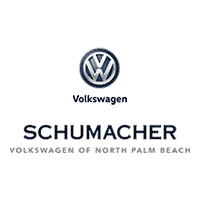 There’s no better place to browse a remarkable lineup that includes the Golf GTI than at Schumacher Volkswagen of North Palm Beach. Experience North Palm Beach from behind the wheel when you schedule a test drive today.